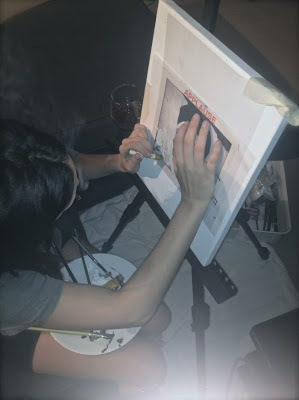 The pop star's makeup artist, Tara Savelo, posted a photo (above) on Gaga’s social network, Little Monsters, of the singer working on what may be the track's artwork. The post is titled “26 Days” – which would be August 19, the previously announced release date for the single to drop. Gaga’s third album, “ARTPOP” is due November 11. The singer will launch the project on November 10 with an evening of artRave exhibiting Haus of Gaga’s projects as well as collaborations with Inez & Vinoodh, Robert Wilson, Marina Abramović and Jeff Koons.